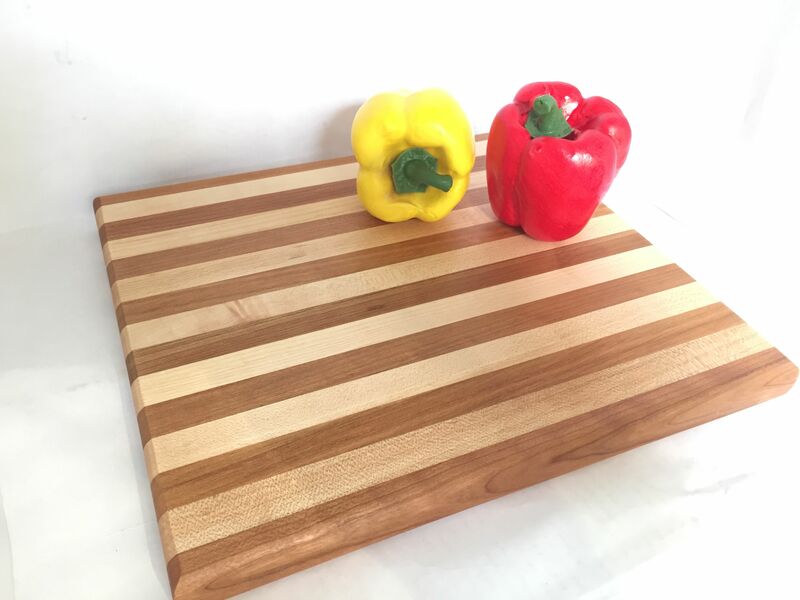 This reversible maple and cherry cutting board is made of carefully selected North American hardwoods and made with all natural products. 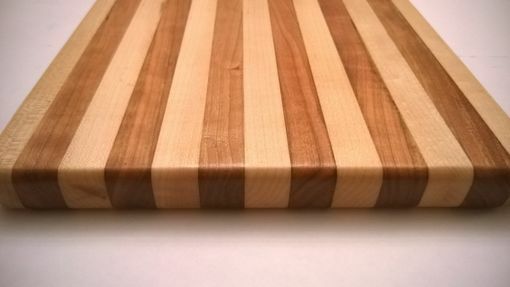 It is primed with multiple applications of FDA safe food-grade mineral oil and is absolutely one-of-a-kind. 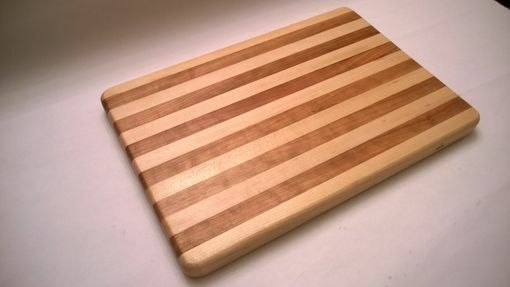 This cutting board makes a great wedding, housewarming or Christmas gift. 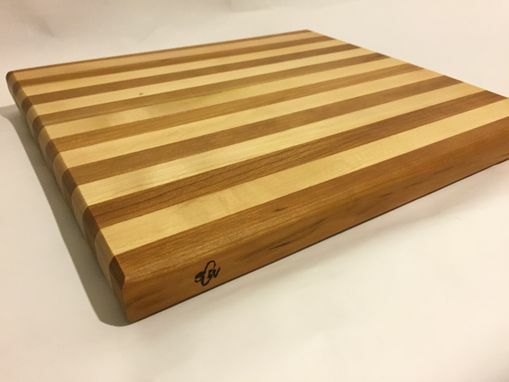 - 12" x 12" x 1"